Hi, I am Nina. I am from the U.S. and 37 years old. 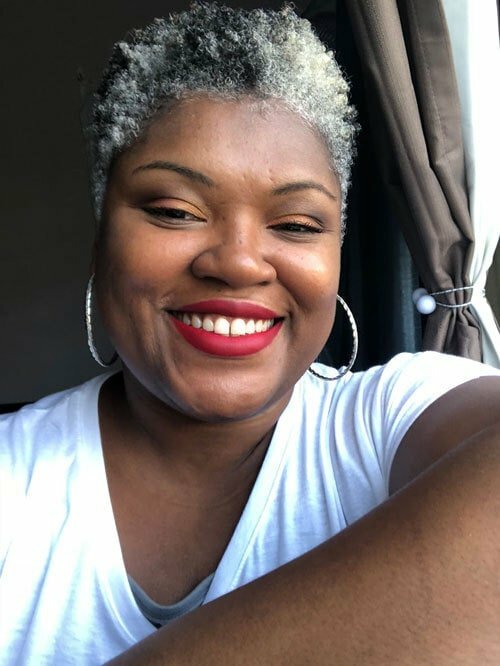 I have an Instagram page called @naturally_graysful that I started this past summer because I wanted to be a face of possibility to other young prematurely gray women and women of color. I also have a website called www.compassionatelyme.com where I also talk about my transition back to my roots. 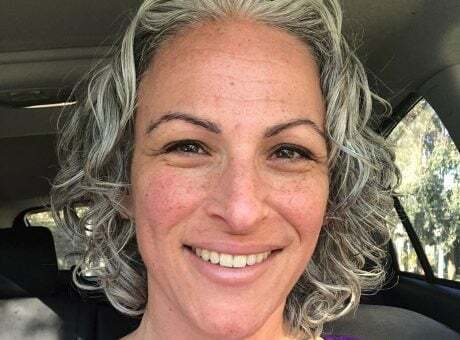 I don’t remember how old I was when I found my first gray hair but I started prematurely graying in my late 20s / early 30s. I was not totally surprised by this because my father prematurely grayed in his 30s. He would color his hair off and on and then he finally let go of the dye in his 50s. 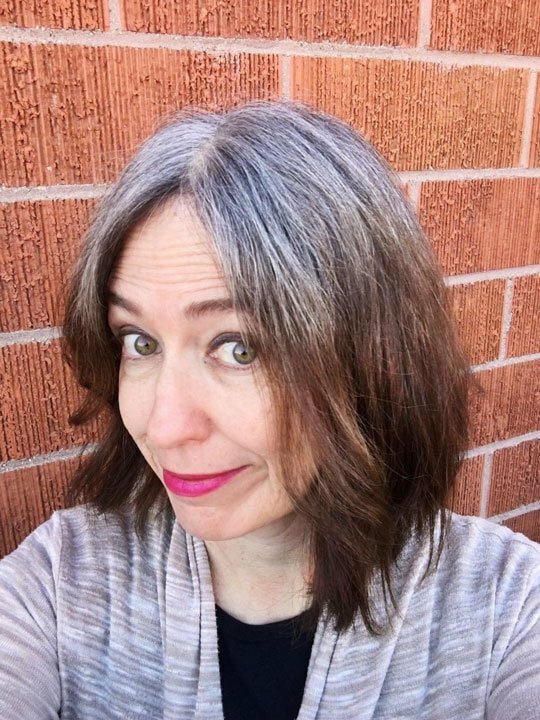 I primarily used semi-permanent rinses to color my grays. I used Beautiful Collections from Clairol. I also tried permanent box color thinking it would buy me more time before my next root touchup. I tried the mascaras for the grays (which were horrible because they were gunky and did not mix well with my hair products). It worked, but my grays turned too red, so I tried to use the darker henna and that worked great but turned my hair a brownish color. 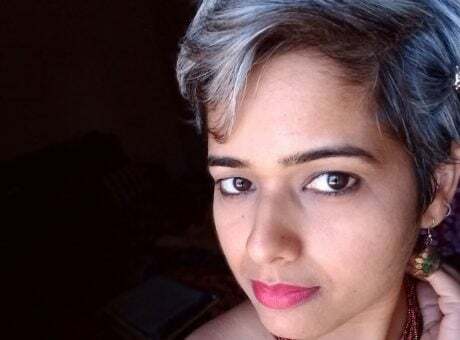 I wanted to love all of me – gray and all! 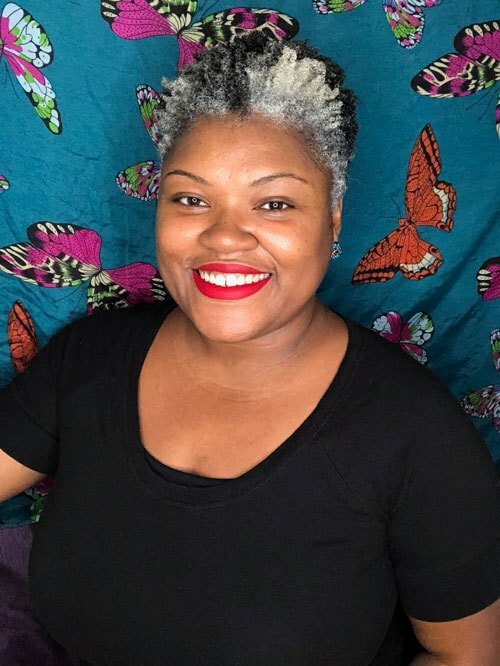 I found in the beginning that there were people who were like, “are you going to color your hair?”….almost as if I came out of the house with my hair not done (“are you going out like that?!”). 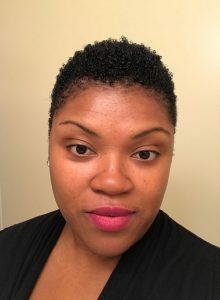 I did a big chop in May 2017. I ultimately use the same products for my hair that I used before I went gray. I do find that I have to be careful with some colored gels or products that can stain gray hair. I use Shiny Silver purple conditioner to help brighten my silver. The amazing silver sister community on Instagram. My mom’s amazingly regal silver hair that she grew out. 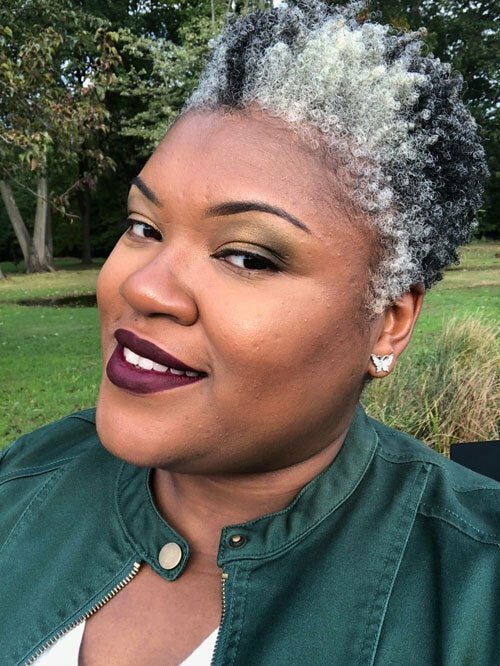 Another inspiration for my gray hair is a woman named Ty Alexander from gorgeousingrey.com Seeing her as a young woman of color embracing her gray, never dyeing it, and appreciating it, was so inspiring! @NaturalSilverSista was another inspiration. She looks amazing with gray natural hair! 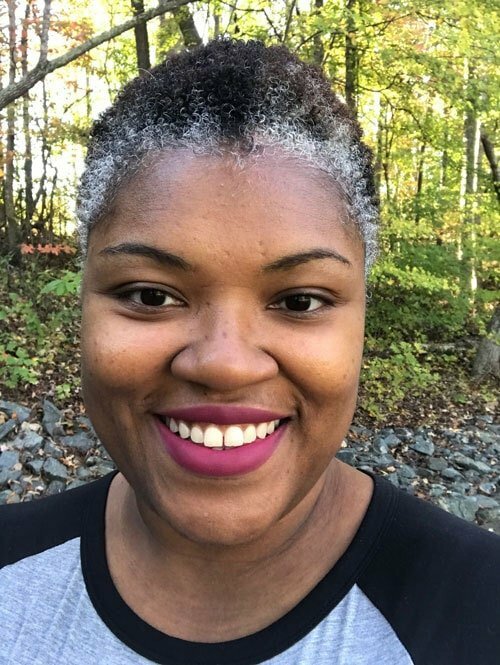 I recently saw an amazing natural hair YouTuber named Samantha Pollack announce she was going to embrace her gray roots and I got so excited! She will be doing a big chop this month and will document her process. 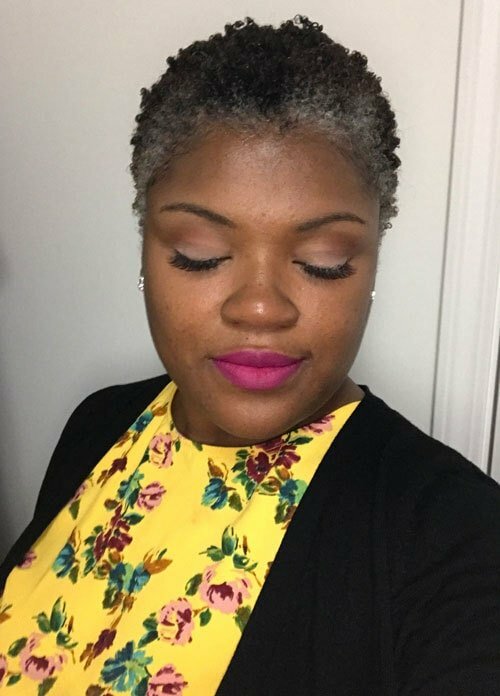 My gray hair journey helped me in my self-love journey to accept all parts of me and to challenge myself to be more authentic. 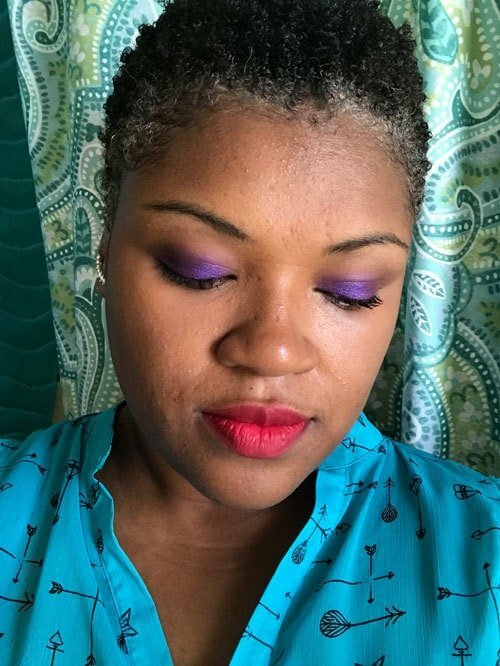 My advice to those thinking of going gray: You won’t know until you try. You will be scared, insecure and impatient and that is okay. It will be better than you think and you will gain a confidence that can’t be beat! When I stopped allowing what others think to affect my decision to be who I was authentically was, I felt so free! Ironically, you become more attractive when you are being you. People are drawn to those who are genuine and feel comfortable in their own skin. I was beyond surprised at all the reactions I would get from complete strangers. 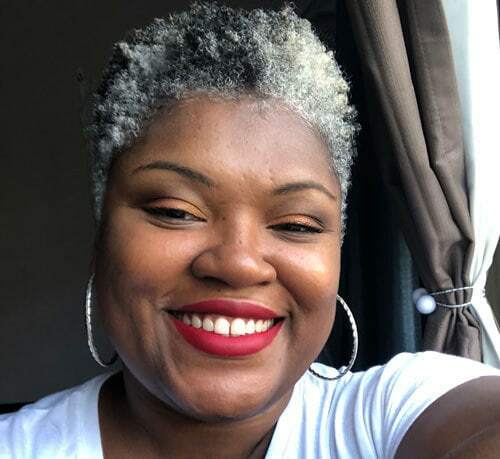 I did not go gray to get compliments but let me tell you I received more compliments from being gray then I ever have before – even when I decided to go natural. I also feel great when different women let me know that my grays affirmed to them that it’s ok to embrace their roots. That you can still be beautiful and look youthful with gray hair. Omg, You’re beautiful my sista! This is total proof that it’s not your hair color but your attitude that keeps you either old or young. 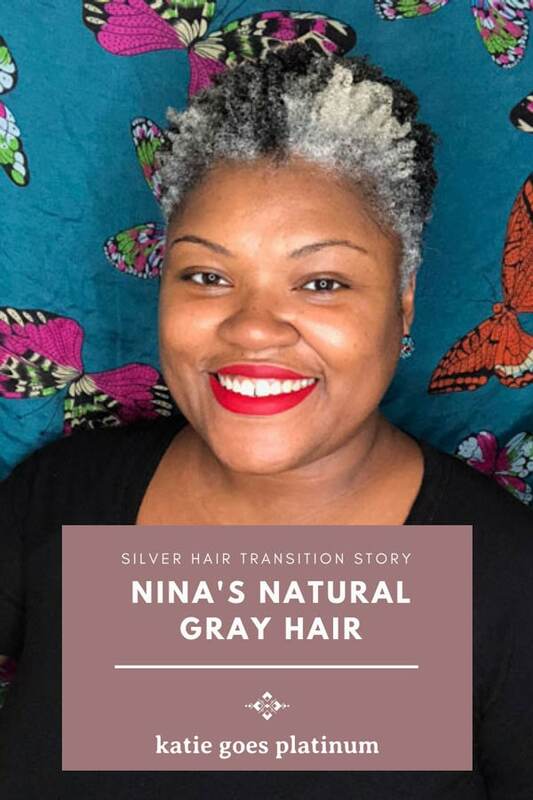 YYour beautiful grey natural hair is awesome. In addition, your beautiful smile, skin and red lips you are wearing it well my sista! Nina is a beautiful person inside and out. Her positive outlook is infectious and she always has me smiling with her posts. Thank you Katie for featuring this inspiring young woman to help us newbies with our transitions. Omg, You’re beautiful my sista! 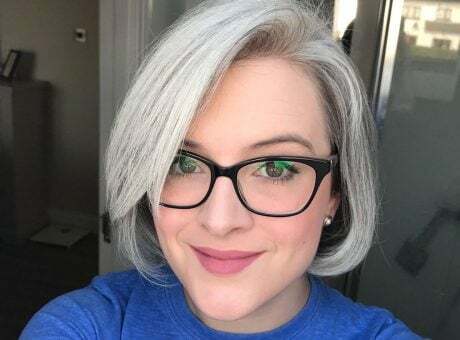 I hope your story will encourage other sister’s to embrace the beauty of going platinum. Katie thank you so much for this feature and beautiful stories of transition. Which will inspire many. Michele thank you so much for such beautiful words. Thank you Jonie I appreciate your support so much!